The influential Sultan of Sulu and North Borneo, Sharif Ibrahim Ajibul Muhammad Pulalun and his daughter Princess Sadding Ajibul. 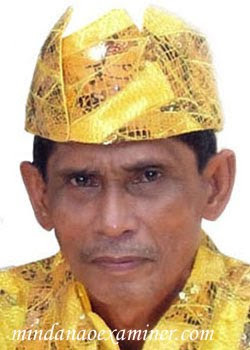 ZAMBOANGA CITY, Philippines (Mindanao Examiner / July 8, 2010) – The influential Sultan of Sulu and North Borneo, Sharif Ibrahim Ajibul Muhammad Pulalun, on Thursday called on Muslims in the southern Philippines to help the new Aquino government in nation-building and support efforts to bring about peace and development in the restive region. Pulalun, an ardent supporter of President Benigno Simeon Aquino III, made the appeal after meeting with his Cabinet leaders in Mindanao. 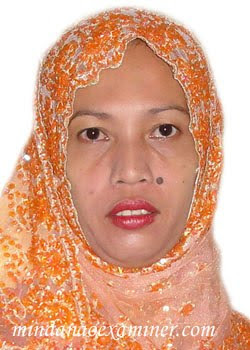 “We are asking every Muslims to support President Aquino and his peace and development agenda for Mindanao. We must stay united in these efforts to bring about change, all in the name of peace and progress,” he said. Pulalun’s daughter, Princess Sadding Ajibul, was invited in Aquino’s inauguration on June 30 in Manila and later held talks with the President’s men about the administration’s peace efforts in the South. Ajibul, 35, said they would help Aquino’s administration by supporting his Mindanao agenda. “There is a series of meetings that we are holding right now and we want to lay out the grounds on how we can effectively carry out the task of helping our President in his advocacy and campaigns of honest and good governance to make Mindanao and the rest of the country and the Filipino people – Muslims and Christians alike, and indigenous peoples - truly proud,” she said. She also praised Executive Secretary Pacquito Ochoa and lawyers Joel Cadiz and Carlos Serapio, and former military general Juan Victor Laurilla, who are all staunch Aquino supporters, for their concern about the welfare of the Muslims in Mindanao. “They really wanted peace and progress in Mindanao and are concerned about the welfare of our people, especially the poor,” she said. The 54-year old Sultan also said he would meet with his followers and supporters in Basilan, Sulu and Tawi-Tawi to discuss how they can help in promoting peace and unity in the Muslim autonomous region to which the three provinces belong. Pulalun, a descendant of Sultan Mohammad Pulalun, campaigned hard for Aquino in Mindanao during the May elections and had traveled in different areas to ensure that the son of former President Corazon Aquino and his party mates would not be cheated of their votes in the first-ever automated polls. The Sultanate of Sulu, founded in 1457, obtained Sabah from Brunei in 1658 as a gift for helping put down a rebellion on Borneo Island.